Can you imagine going back from CD to cassettes? Or colour TV to black and white? Or (struggling for a more modern analogy here) from 3G and LTE back to GPRS? 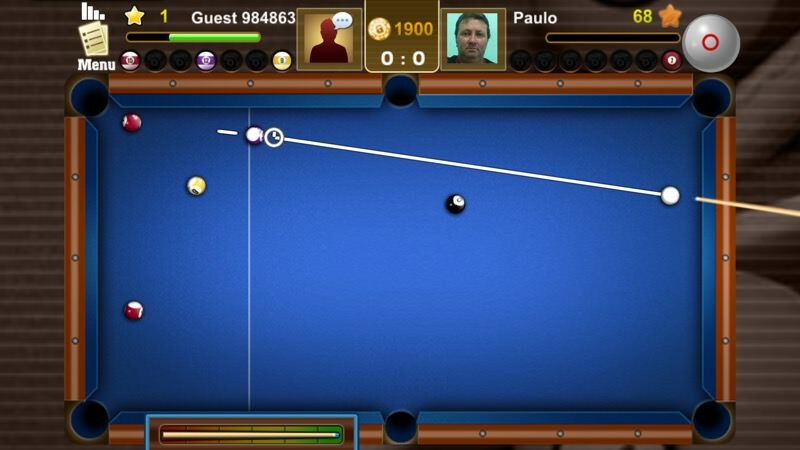 It's much the same with pool and snooker games - there are some cracking first person 3D titles, not least my favourite International Snooker Pro, so why on earth would someone want a relatively coarse and fiddly 2D pool game in 2016? For the head to head action with players around the world, of course. And on the whole Pool Tour Masters doesn't disappoint in this aspect. 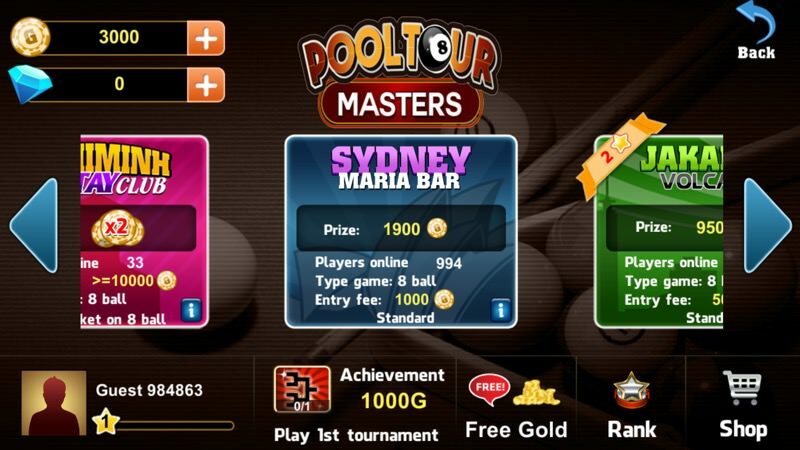 PLAY 1 VS 1 OR TOURS: Use all your skills to win in 1 VS 1 or TOURS MODE and get big rewards. Become a legend! 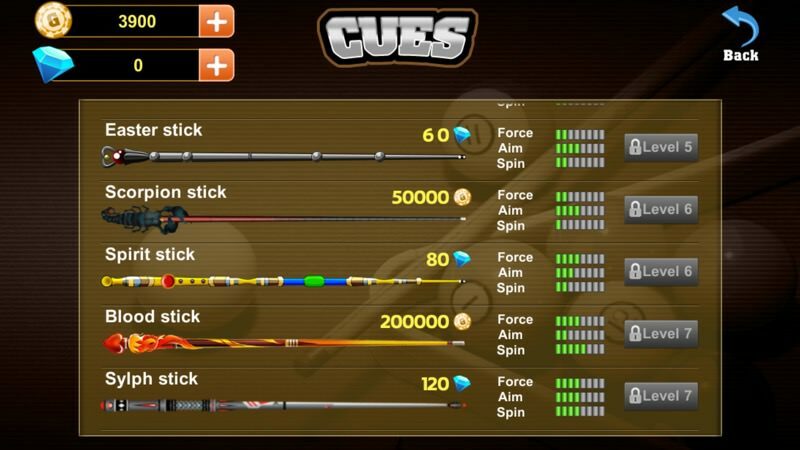 A LOT OF ITEMS TO EXPLORE: Win matches to earn gold and buy new cues. There's a cue for each kind of player! Take the one that suits you the most and win all the matches. 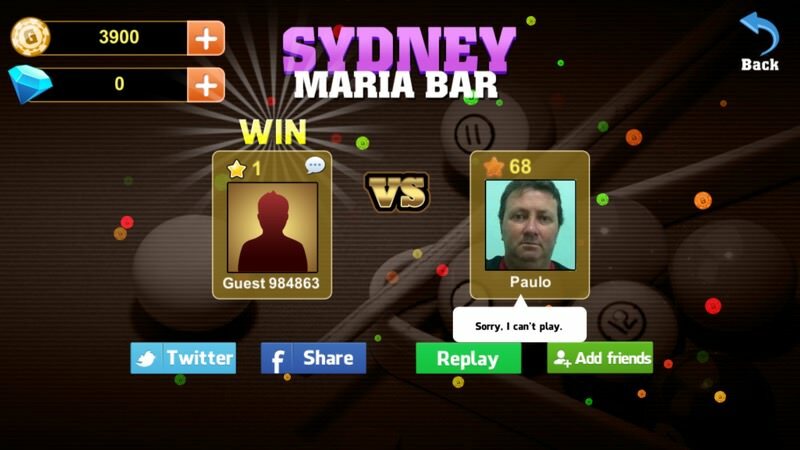 CHALLENGE YOUR FRIENDS: Log in to Facebook, Gmail or FreePlay Account to play with your friends and send them gifts. Challenge your friends and show them your skills! 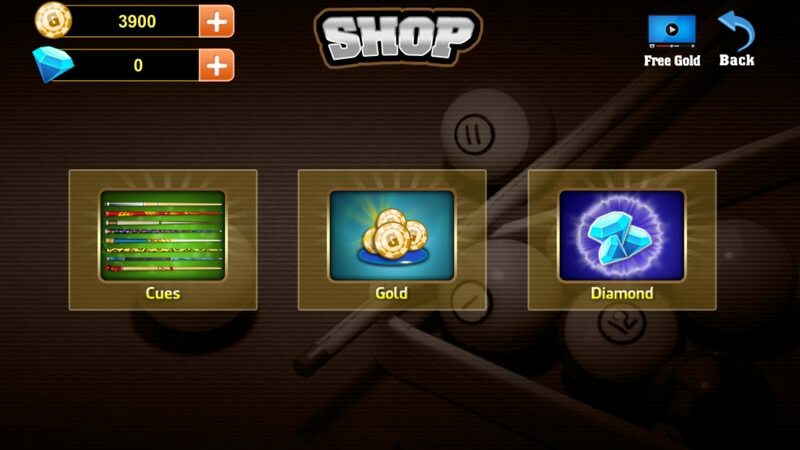 You'll have gathered most of what you need to know from both my opening paragraph and the Store bullet points above - this is a multi-player, 2D pool game with lashings of freemium, including all the latest frequent use, social and 'lucky' trimmings. But don't switch off, since developers Game Troopers have been restrained in that the maximum in-app-purchase is only £7 or so in the UK and most people will get by with just a few pounds here and there. In other words, perfectly pitched for a free-to-download 2016 game. After a lengthy loading screen (20 seconds! ), a well thought out set of ways to sign-in, you can play the game as a 'guest' but you're silo-ed in terms of social interactions, plus when you do sign in later on you'll lose any gold you've acquired through playing so far. 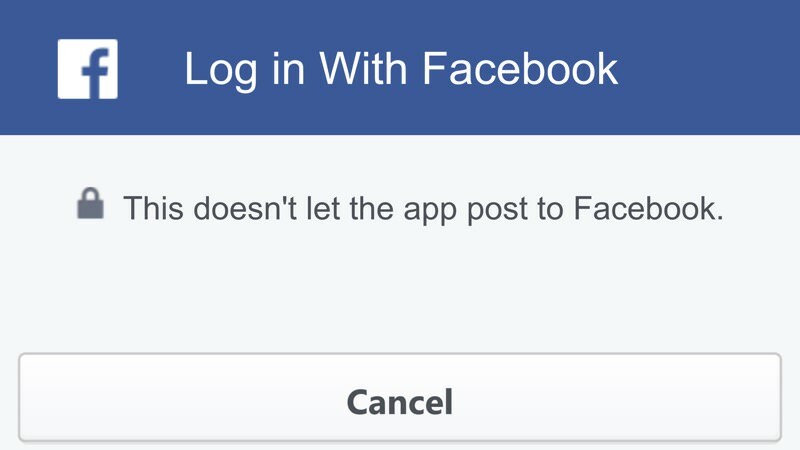 The Facebook login is nice to see but is currently horribly broken - hopefully Game Troopers can fix this by the time you try and play! 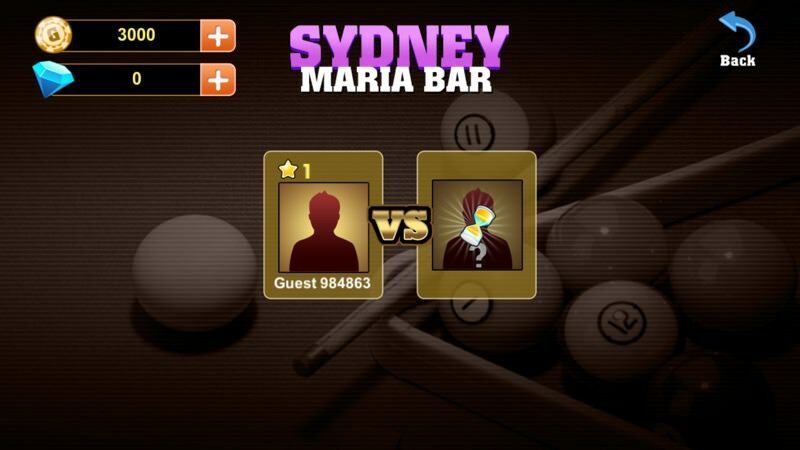 And always good to see a 'Play offline' feature, playing against AI (not very clever) or a second human player. 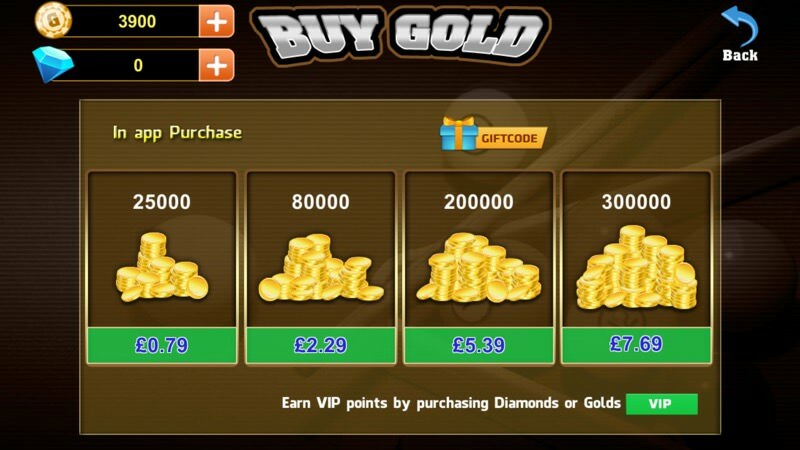 We're then into a typically 'busy' freemium home page - can anyone explain to me why freemium games always seem to need two in-game currencies [here gold and diamonds]? What's wrong with just one? Is it just a way for developers to make more money as there are now two things to 'run out of'? And don't say it's because of the different 'scale' of values - just divide all the gold values by 100 throughout the game and stick with one currency, please. Just my tuppence worth. Of note here are main game modes. 'Play & win' sees you pitched against suitable online human opponents, while 'Tournament' is a little more organised - a heftier entrance fee but a big payout if you win five times (e.g.) in a row, etc. ...the USP here is the way you hook up to other human players around the world. You'd have thought, given the low current consumer market share of the platform, that there wouldn't be much online activity but in fact I always found someone to play. And beat, here! There's a thrill in pitting one's skill against another human that always trumps playing against a 'boring' AI opponent (as in the aforementioned International Snooker Pro). And note that basic canned text repsonses are possible, either in the game or just after. Here a comment from my defeated opponent just under his thumbnail. 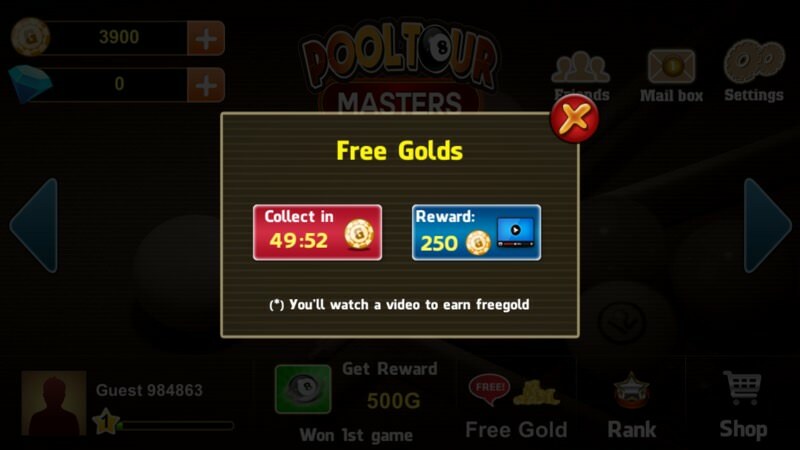 Every match, every tournament, even practising, requires gold and you can collect this in winning games, by spinning a wheel (see further below), by waiting an hour and watching a video ad, or - of course, by using the in-app-purchases. There are the two currencies to buy (again - why two??) plus the only real customisation in the game, fancy cues. These cues - in theory - have slightly different performance, though you'd be hard pressed to tell until you really get into the game and have high enough expectations from each shot. The lucky dip spinner I just mentioned, a way to get gold into your hands through playing each day without having to be any good at phone pool or dipping into your pocket. And you've got to love the differences here. '1' next to '50,000'!! 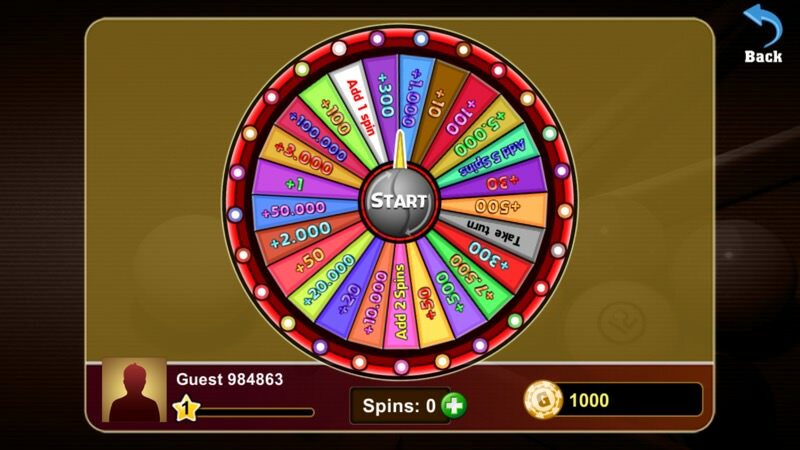 There's a gambling element here too, in that you can 'buy' extra spins with the same currency you're trying to win. Thankfully, Game Troopers have kept the in-app-purchases sensible - nothing outrageous here, meaning that more people are likely to keep the game around - and the two lower tiers are almost no-brainers. Nicely done. A tight finish to my game here. You get a short aiming line (make this too long and a pool game would be too easy!) 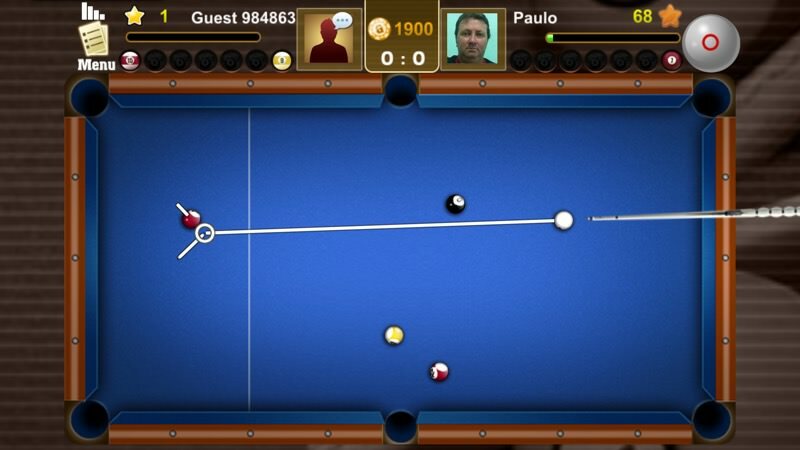 and a short line showing the default reflection direction for the cue ball. All of this seems pitched about right, even though it all seems a bit primitive after playing 3D pool games. I'll leave aside the glitches for now - let's assume that a) I was unlucky and b) Game Troopers sets to work fixing the issues quickly. 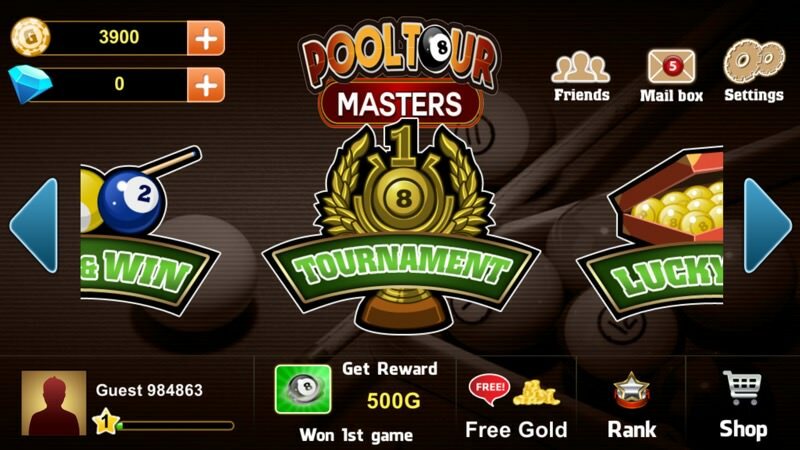 Pool Tour Masters isn't the best pool game on Windows 10 Mobile (or Windows Phone 8.1) by a long way, but the addictive nature of playing against other humans with zero effort does bring it up on the rails and, despite the relatively primitive pool experience, it's going to stay on my Lumia 950. 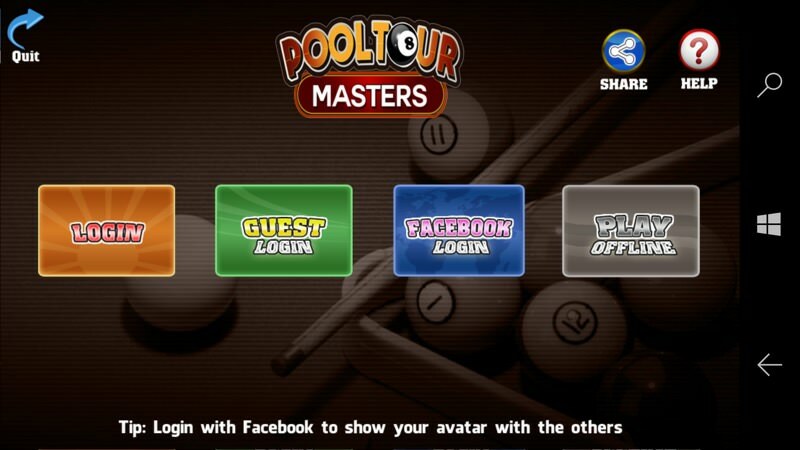 You can grab Pool Tour Masters here in the Store, it works for any Windows Phone 8.1 device and above. Comments welcome if you've played it!